- The house is located at the intersection of Bongeunsa Station in the Gangnam area. Its close to three subway stations which are Bongeunsa Station (Line No. 9), right in front of Exit No. 4 / Samsung Station (Line No. 2) - 8 minutes / Cheongdam Station (Line No. 7) - 7 minutes). -COEX, SM Town, Hyundai Department Store, and Seven Luck Casino are located very close by. -Garosu-gil Road, Cheongdam-dong Fashion Street, Gangnam Station, Itaewon, and Lotte World are also located quite nearby. - There is Paul Bassett on the 1st floor of the accommodation and there are also many Franchise Cafs nearby, like Starbucks, Coffee Bean, 'TomNToms', and 'Coffine Gurunaru'. - This apartment is not a normal guest house. Our interior designer decorated the whole house with fancy furniture and lighting which you will feel is superior to even a 5-star hotel. 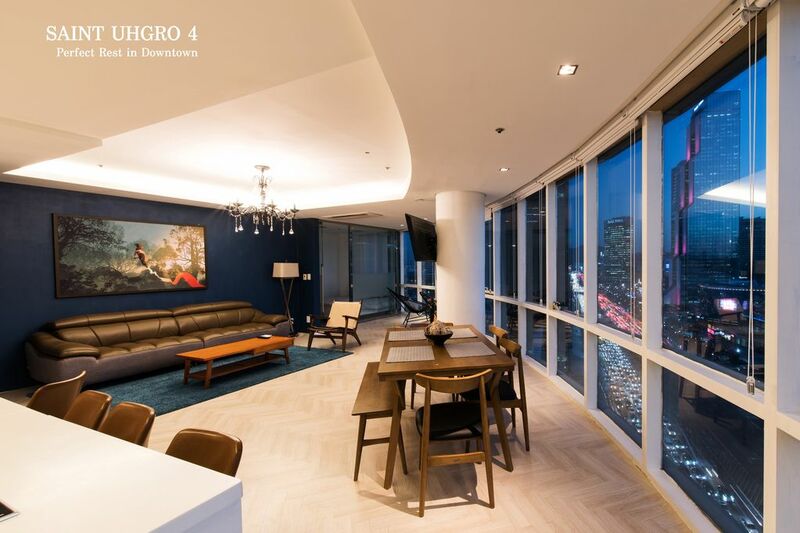 The "Saint Uhgro" is a premium rental house which started in Samsung-dong the "Center of Gangnam". -Electric rice cooker, microwave, electric kettle, toaster, and all cooking utensils provided. My office is located just 10 minutes away from the accommodation, so please feel free to contact me if you have any queries. I can communicate in both English and Chinese.